The Minnesota Association of Colleges for Teacher Education (MnACTE) was founded in 1973 as a professional organization for colleges and universities in Minnesota that have approved teacher-education programs. MnACTE is a state affiliate of the American Association of Colleges for Teacher Education (AACTE), and has a presence in Iowa and North Dakota with their respective ACTE organizations; Iowa and North Dakota regularly refer members to Minnesota for licensure. Prior to working with thedatabank, gbc, MnACTE used an older database that wasn’t user-friendly. Only one of their staff members knew how to search within or make changes to that database, so data upload was slow and disorganized. Any information on members had to be updated by hand, which meant that depending on the workload at the organization and how fast information traveled from members to MnACTE, the website could be out of date multiple times per year. The limitations imposed by this old system made it difficult to find and report on data crucial to the work of legislators around the state, who were attempting to increase the number of people of color working in education, and needed current enrollment numbers to move their projects forward. Bob Utke, who had recently joined MnACTE as an Executive Assistant, was put in charge of finding a better way to manage the organization’s data. He spent significant time talking to our staff at thedatabank as well as a competing company to get an idea of what would be the best fit for their needs. Compared to the other work they saw, which was built entirely from scratch, the Databank had a more solid base to build up from, which meant that MnACTE could easily envision how the final product would look once all of their customizations were in place – the Databank took out the guesswork. The result was a dynamic directory with custom fields that was searchable and allowed for real-time changes as colleges and universities updated their information. MnACTE’s Databank allows them to better respond to requests for information from state legislators, the Department of Education, and administrative leaders. With their Databank system, MnACTE has cut their staffing time in half – they needed the equivalent of two full-time employees working to manage the old system efficiently, and that number has been brought down to one. Record-keeping is more accurate, communications are more seamless and up-to-date, and even hesitant users of the Databank know what they can ask for if they need help or a new tool. There are also now multiple experienced users for their Databank – three people doing operations-related work, and three who view and report information from the database to report to the Board. The time lag of information transfer has been eliminated, everyone has access to the same data, and it’s user-friendly enough that training has been simple for the staff. Thanks to the data available in MnACTE’s Databank, a number of bills are moving forward to expand funding to help get more people of color into teaching; the data available from MnACTE has helped to initiate small changes to make regulations more effective for finding and recruiting candidates of color. Finding and reporting this data would have taken a week with the old system, but with the support of thedatabank, it now takes less than a day. 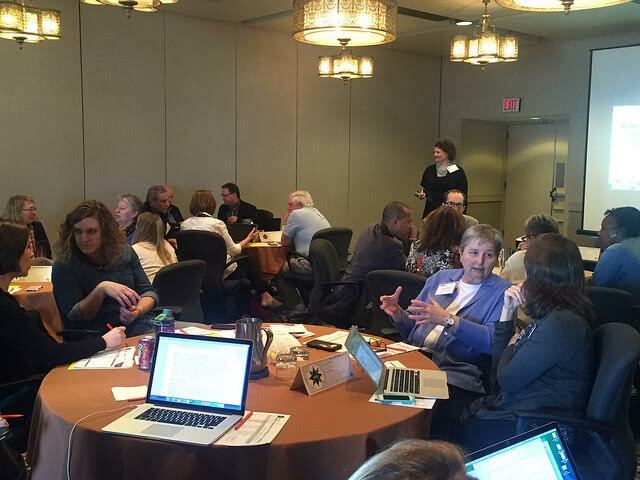 For MnACTE, taking action means sharing knowledge and perspectives to improve practice.